A Marin County school district voted to support legislation calling for an end to the personal belief exemption. SAN FRANCISCO, CA -- Tuesday night, a young boy with Leukemia made an impassioned plea at a school board meeting in Tiburon for all children to get vaccinated against the measles. 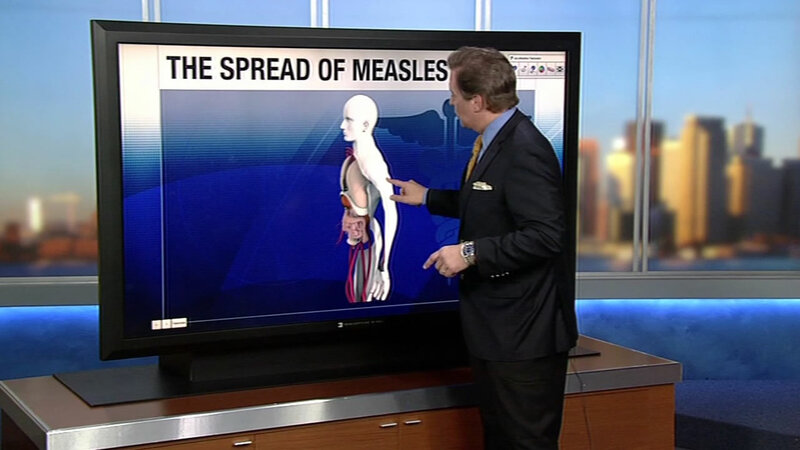 A small Marin County school district is taking the lead against the measles outbreak. The Board of Trustees of the Reed Union School District voted to support legislation calling for an end to the personal belief exemption. That exemption allows parents to enroll their children at schools without the required vaccinations. Marin County residents have certainly developed a reputation of being wary of vaccines, but on Tuesday night, the Reed Union school District defied that stereotype. Measles is the most contagious of viruses. Here's an explanation as to why. "My name is Rhett and I... give... a... damn!" 6-year-old Leukemia survivor Rhett Krawitt said to the crowd. He will be getting his measles shot in a matter of days. In his speech he added, "Soon we will say, 'Gone with the measles.'" It will be one year since Rhett's last chemo session and doctors say he'll finally be well enough to withstand the vaccine. "This story isn't about Rhett anymore. It's about the expecting mothers, the babies and the hundreds of kids currently with suppressed immune systems," Rhett's father Carl Krawitt said. Rhett's parents urged the Reed Union School District to support legislation requiring every student to be fully vaccinated. No more personal belief exemptions. In fact, the only exemption would be for kids who are too sick to get the vaccines. Pediatrician and St. Sen. Richard Pan, M.D., D-Sacramento, is the bill's co-sponsor. He said, "Vaccines are safe and effective. The rate of adverse effects from vaccination is much less than the disease itself." Marin County has the state's highest rate of personal belief exemptions, at 6.5 percent among all kindergartners. But in a 4-1 vote, the Board of Trustees voted to support Pan's legislation, which means if the bill becomes law, John Mini isn't sure what he'll do. Mini's daughter is only partially immunized because he's not convinced the vaccines are 100-percent safe. He told ABC7 News, "Whether I could get a medical exemption for my daughter or not, I don't know." The bill is in the very early stages, but if it passes, California will join 33 other states that do not allow personal belief exemptions.